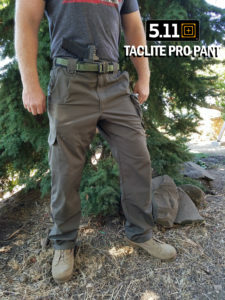 REVIEW: 5.11 Tactical Pants — Clifford Associates, Inc. I remember my first pair of 5.11 pants bought almost 20 years ago. I bought two pairs. One in Khaki and one in Charcoal. I wore them until they frayed apart a decade later. At the time, they were cutting edge and in style, or at least for me. They had lots of pockets, an elastic waistband, heavy belt loops for my issued riggers belt and just felt good. As I have gotten older I am still in decent shape, but having clothing that stretches and flexes with the way I move is an absolute must these days. So, keeping that in mind I decided to take a look at three of 5.11’s latest pant offerings.